See This Month’s Flavors!See This Month’s Flavors! 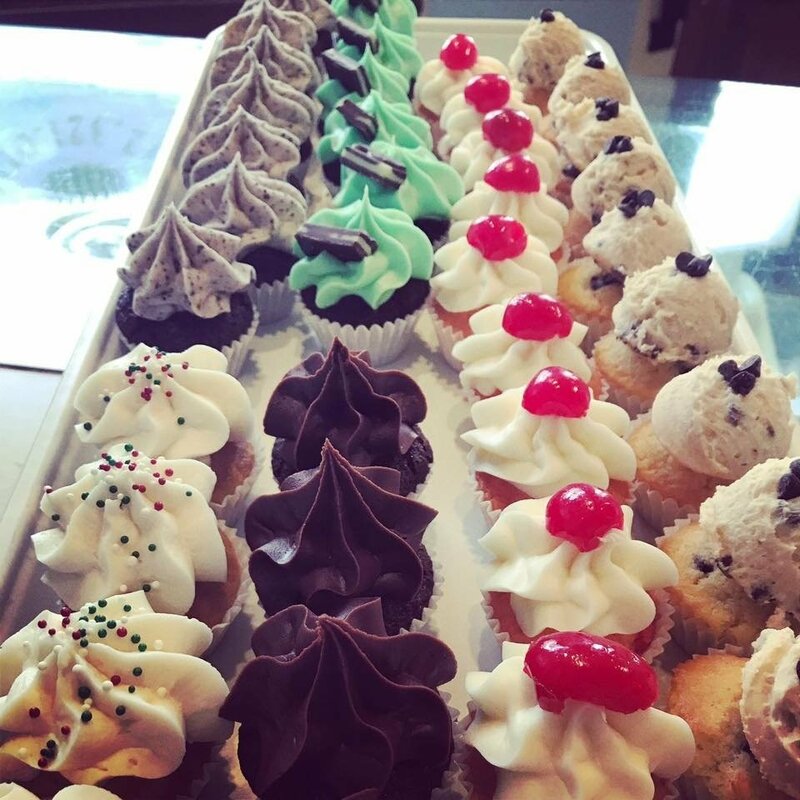 Sure to be a hit at any party, mix and match flavors of our mini cupcakes. Everyone can choose the flavor they like best! We make sure that each batch lives up to our exact standards for texture, flavor, and goodness so that whether you buy one or twelve, you will agree with us that they are Simply Sweet. AND, we bake our cupcakes fresh each day! They look like cupcakes but taste like cheesecake, because they are! We make these cheesecake cupcake sized! Each one is just the right size to satisfy your taste for cheesecake. Pre-assorted pack of 6 regular or 12 minis (no substitutions). Craving Cupcakes? Contact Us for Delivery! At Simply Sweet, we prioritize your convenience. Our homemade cupcakes are available for pickup or delivery within the surrounding areas of our location. Please note that our delivery service is subject to the available time slot. Don’t hesitate to get in touch with us to let us know how we can help you. We are closed on Thanksgiving (22nd) and the 23rd. Also Christmas, and New Year’s Day. Call us for pick-ups earlier than 11:00 AM, subject to availability. We gladly deliver to Bastrop, TX and the surrounding areas subject to available time slots. The best compliment we can receive is an online review!